This premium waterproof photography bag is the perfect bag for photography lovers! Large Capacity: You can put a notebook computer, books, clothes, and other goods. There’s an upside main bag that is equipped with the zipper mesh bag, which can hold a 15-inch laptop, charger, iPad mini, Wallet, mobile phone and other items. The bottom camera bag you can put one camera, two lenses and one flashlight. 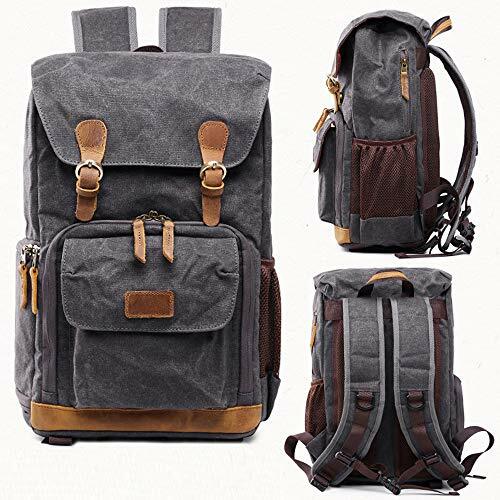 The side camera bag (right side pocket) was made to let the photographer take the camera quickly and easily while walking. The front zip allows you to put a mobile phone, camera battery and so on. On the side there’s a velcro card bag where you can put your memory card, it’s easy to take out. The front Velcro pocket you can put your notebook, wallet or small pieces like your cosmetics. There’s also a side zip pocket where you can have your phone and an elastic side mesh bag where you can put an umbrella, bottle… it’s easy to take out. 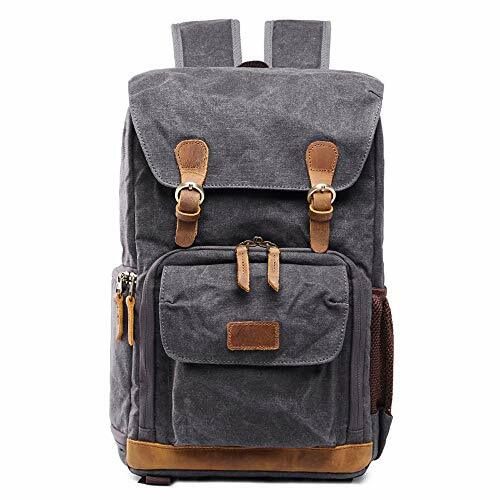 Variety of DIY Install: The camera bag uses anti-fall and shockproof sponge insulation layer, which can be freely disassembled and assembled, with a variety of installations as you like.